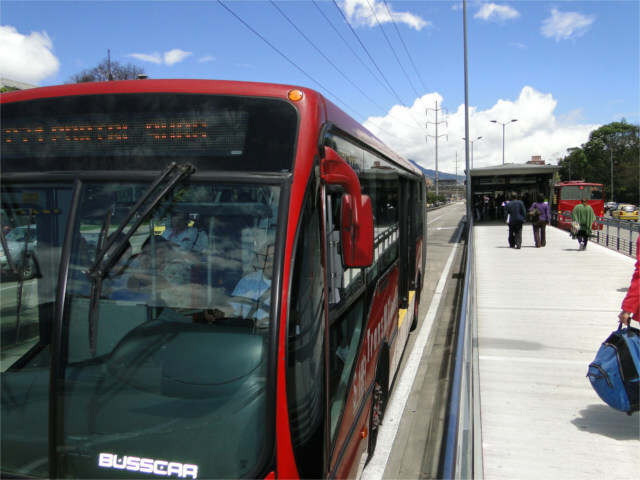 TransMilenio BRT system, Bogotá, Colômbia. Photo by EMBARQ Brasil. Buses began operating at a large scale by the year 1910, offering the advantages of route flexibility for routing, adaptation alongside the development of urban roads, and lower installation costs, as compared to railways. Efficient service and door-to-door service between transportation hubs facilitated the spread of city bus systems around the world, especially in less-developed countries, with limited resources. Worldwide, there are currently 277 dedicated bus lanes and bus rapid transit systems, located in 156 cities, within 38 different countries. Every day these systems transport more than 25 million passengers, according to the latest data from BRTdata.org. Moving forward, it is important to adopt policies which prioritize dedicated bus lanes, separating buses from private vehicle traffic. 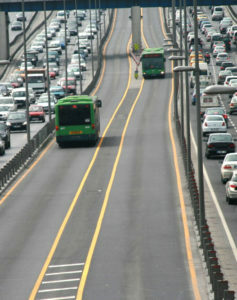 Dedicated lanes enable buses to travel at higher speeds and increase user satisfaction, as higher efficiency and less variability in travel time leads to better system quality.Today, buses account for 25% of all trips made each year in Brazil and 85% of total trips using public transport. Even in the American context, the bus accounts for 50% of journeys made on public transport. Launched one year ago, BRTdata.org developed out of a partnership between four global organizations: the BRT Center of Excellence, EMBARQ, the Latin American Association of Integrated Systems and BRT (SIBRT) and the International Energy Agency (IEA). 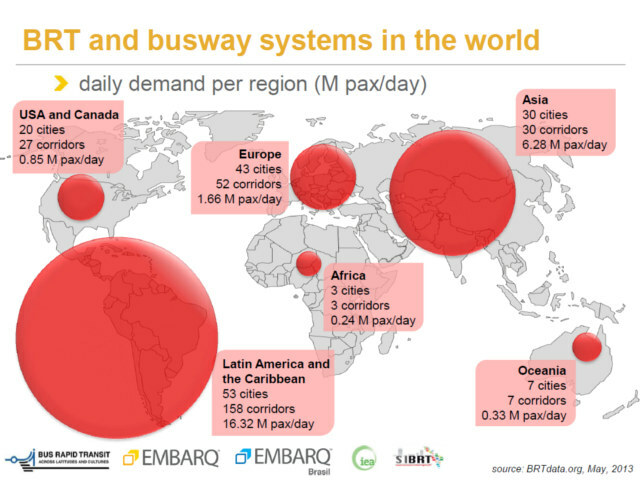 Click here for an overview of the current systems and BRT bus lanes in the world.